1. Always Current - As an online service hosted by Microsoft you will always have the latest tools, features, and updates. 2. Always Available - 99.9% uptime guarantee, as well as continuous data back-up, best-in-class disaster recovery, and data centers around the world. 3. 24/7 Support - Quick access to the most knowledgeable support team at any time. Free up internal support to work on other things. 4. Low Cost - No upfront infrastructure costs. Flexible subscription plans. 5. Near Instant Access - Accessed via Office 365, the system can be available for configuring within minutes as opposed to months! 6. World-class Compliance - Complies with various industry-specific standards, including ISO 27001, EU Model Clauses, HIPAA Business Associate Agreement (BAA), and FISMA. 7. Part of Office 365 Platform - Offers native integration with familiar tools such as Microsoft Project, Office, SharePoint, Exchange, Yammer, and Skype for Business for better collaboration and social capabilities. 8. Scales to Maturity - Project Online can be configured* for very lightweight Project Management to a full Project and Portfolio Management solution. 9. Improved / Integrated Reporting - Out of the box Project Online provides; Project Overview Dashboard, Project Overview and Resource Overview Reports. The Project Portfolio Dashboard web app is now available via Office 365 for other instant reporting. Finally, there is the Project Online content pack for Power BI. 10. Active Directory Sync - Resources can be added quickly with the enhanced Active Directory synchronization. MS Project Server: What is Project Online? Project Online is a flexible online solution for project portfolio management (PPM) and everyday work. Delivered through Office 365, Project Online provides powerful project management capabilities for planning, prioritizing, and managing projects and project portfolio investments from almost anywhere on almost any device. Project Online can be used by administrators, portfolio managers and viewers, project and resource managers, and team leads and members. Project Online is the name or branding that Microsoft has created for their cloud based instance of Microsoft Project Server (hosted by Microsoft). If you believe Microsoft Project Server is right for your organization, but are uncertain whether Project Online or Project On-Premise is the best choice; you might want to work with an expert. There are many pluses and minuses of either approach. Some things to factor in; the size of your organization, your current project management maturity, how you intend to leverage the solution today as well as in the future (including custom reports), and in addition to this, one would need to understand the current capabilities of Project Online versus Project On-Premise. At the time of this article; there are a number of features Microsoft has been able to quickly implement into their Project Online solution, but have yet to incorporate into Project On-Premise. I have been working with Microsoft Project Server since about 2001 when it was called “Project Central”. Over the years I have watched this product continue to mature. I could name of number of things within the current product that I feel could be improved, but that is not the purpose of the article. EPM stands for Enterprise Project Management. In the past Microsoft branded a product as “Microsoft EPM”. Don’t be confused, this product was actually Microsoft Project Server. But, it is true; Project Server is an Enterprise Project Management solution. 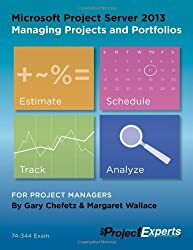 PPM stands for Project Portfolio Management. Microsoft says they have a solution called “Microsoft PPM”. But again, don’t be confused; this product is actually Microsoft Project Server. And it is true Project Server is a Project Portfolio Management solution. What we have learned so far is Microsoft EPM or Microsoft PPM are actually just another name for Microsoft Project Server. Got it! That is simple enough. So now let’s try to sort out Project Server, Project Online or Project On-Premise. If you are interested in implementing Microsoft Project Server, you have two options; Project Online or Project On-Premise. So, with that said, Project Online and Project On-Premise are just another name for Microsoft Project Server. Simple enough!! In a nutshell Project On-Premise is the name or branding that applies to purchasing the Hardware as well as the software to install Microsoft Project Server on your own within your organization. Project Online is the name or branding that applies to accessing a cloud based instance of Microsoft Project Server (hosted by Microsoft). If you believe Microsoft Project Server is right for your organization, but are uncertain whether Project Online or Project On-Premise is the best choice; you might want to work with an expert. There are many pluses and minuses of either approach. Some things to factor in; the size of your organization, your current project management maturity, how you intend to leverage the solution today as well as in the future (including custom reports), and in addition to this, one would need to understand the current capabilities of Project Online versus Project On-Premise. At the time of this article; there are a number of features Microsoft has been able to quickly implement into their Project Online solution, but have yet to incorporate into Project On-Premise. Here is a quick recap; Microsoft EPM or Microsoft PPM are actually just another name for Microsoft Project Server. Project Online or Project On-Premise are also just another name for Microsoft Project Server, the only difference is whether it is on your hardware or hosted by Microsoft. So that last thing we need to address is Project Lite. Project Lite is a monthly subscription service that is offered as an add-on for Project Online users only. Organizations must have Project Online in order to use Project Lite. Project Lite is suitable for project team members to manage their tasks and timesheets, and collaborate on projects. Hopefully this article brings some clarity to all these terms. A good general statement to summarize this article is all these terms stem from one product. When searching or referencing this product; use the term Microsoft Project Server as your starting point! From the Microsoft Ignite Event 2015. 9 Sessions. 11 Hours of Free Training on Microsoft Project, Project Online and Project Server. From the Microsoft Project Conference 2014. 123 Sessions. 125 Hours of Free Training on Microsoft Project 2013 and Microsoft Project Server 2013. Also includes SharePoint and Yammer. Real world case studies for improving Project Management, Program Management, Portfolio Management and Innovation Management from various organizations. This is a feature of Microsoft Project Profession. How to configure your accounts. Unchecked – You will see Assignments for each resource on the opened project only. Checked – You will see Assignments for each resource on your project as well as their assignments from “Other Projects and Commitments”. In our first demonstration, we want to inspect our project to ensure that we do not have any over-allocations within our project only (Project 1). We launched MS Project and unchecked the “Load Summary Resource Assignments”. From the Gantt Chart view, we see two red characters in the Indicator column. This is Microsoft Project telling us that the tasks have a resource(s) assigned that is over-allocated. With the over-allocation from within this project solved, we will now Save, Publish and Close this project schedule. AND…we will exit out of MS Project. When we open the exact same project (Project 1), we now see over-allocations on all three tasks! We will now have to work with Brian and the other project managers to in order to resolve these over-allocations!! 6. The “Save as Template” dialogue box will appear. Place a check by all items. 8. Watch for Save to complete successfully. 9. Close out of the project. 10. To verify the schedule has been saved as a template, click on >File, >New, >Project Server Templates. You will see your new template here. Click on >File, >New, >Project Server Templates. Select the template that you would like to modify. 5. Input the EXACT SAME name for this template as it was previously, select Template from the Type dropdown and choose the appropriate calendar for this template. 7. The “Save as Template” dialogue box will appear. Place a check by all items. 9. Watch for Save to complete successfully. 10. Close out of the project. 11. To verify the schedule has been saved as a template, click on >File, >New, >Project Server Templates. You will see your new template here. From the Microsoft Project Conference 2012. 88 sessions. Over 100 hours of free videos on Microsoft Project and Microsoft Project Server 2010. The Tasks page displays your assigned tasks and may display a number of graphical indicators. The following table describes these indicators and their meanings. The task was added since you last viewed this page. No action required. If you want to request that this assignment be deleted, delete the new task. The Actuals were rejected by the project manager. Contact your project manager to resolve the problem, and then resubmit the actuals. You entered the status and saved it, but the status has not yet been submitted. No action required. Click Submit Selected when you are ready to send the status to your manager. A note is attached to this task. Click the note indicator to read the note. A document is associated with this task. Select the task, and then select a document from the list to view it. A risk is associated with this task. Select the task, and then select a risk from the list to review it. An issue is associated with this task. Select the task, and then select an issue from the list to review it. You will also see colored lines next to your tasks. Below is the key to these colors. Please bear in mind that these colors are meant as guidance and are subject to the influence of pending approvals and updates. Red - Overdue/Past the due date. Lastly, a pink background on the finish date denotes that it is past today's date.